Linux offers a thriving desktop landscape. There are plenty of reasons to opt for a Linux operating system. Linux distributions (distro) are typically free. Because Linux distros are open-source, Linux OSes benefit from dedicated user communities. Often, Linux distros are increasingly lightweight when compared to their Windows and macOS counterparts. Moreover, Linux OSes boast extreme customization, security, and functionality. 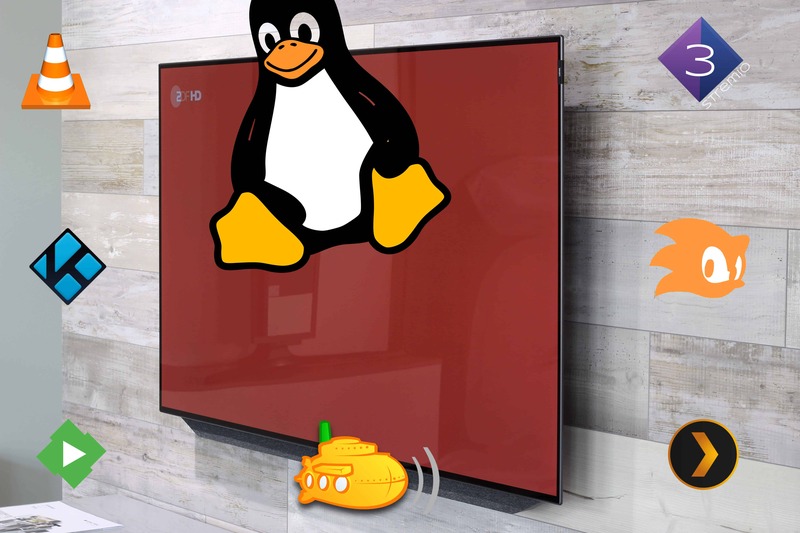 It's this utilitarian element that posits Linux as an ideal environment for a home theatre PC (HTPC). Plus, there's a wide library of Linux media center software. Unlike Windows and macOS, Plex Linux media center software is actually a web-based app. While there is a download as a DEB or RPM package, when you run Plex it opens in a web browser. Still, it's an excellent option for both watching content locally as well as streaming to client devices. That's because Plex organizes your media into a gorgeous library. 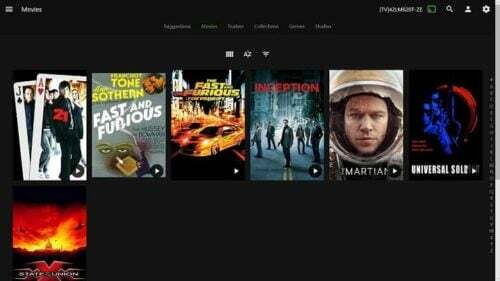 In addition to its vast server playback options, Plex supports customization options like official and unofficial channels. These lend access to the likes of TED Talks, Plex ranks in the top Linux media center 2017 software on account of its user-friendliness, ease of use, and excellent Linux compatibility. Subsonic is an excellent music streamer. 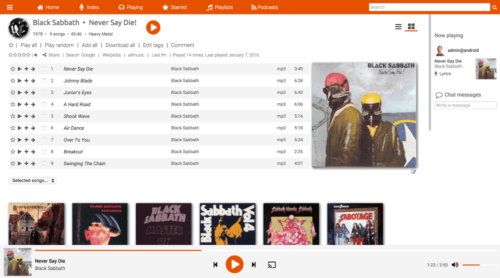 Due to its flexibility in playlist creation, as well as transcoding engine for on-the-fly lossy and lossless conversion, it's fantastic for audio. But client apps for Subsonic are less polished than those offered by the likes of Plex and Emby. Furthermore, Subsonic video playback is less honed than Plex. But Subsonic is some of the best Linux media center 2017 software available. Notably, it's Ubuntu HTPC software with the ability to play music and video locally via the web app and double as a server. Madsonic features a comparison chart of Subsonic and Madsonic. You'll notice that the two are fairly comparable. But Madsonic supports a wider variety of organization features than Subsonic. However, like its Subsonic counterpart, Madsonic is better suited to music than video. 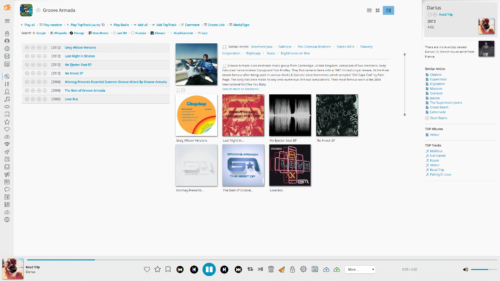 Nevertheless, Subsonic for its excellent jukebox and media streaming capabilities is a great Linux media center 2017 software option. These community-sourced addons are where Kodi dominates. Through its many addons for movies and TV, sports, and broadcast TV streaming, Kodi is fantastic for both streaming as well as local playback. Moreover, Kodi addons for Plex like PleXBMC combine the powerful media center capabilities of Kodi with the server content from Plex. If you're running a hybrid media server-HTPC, you may not need the addons. But if your Linux media center PC is separate from your server, it's a must-have addon. Kodi's combination of addons for streaming and superb local file playback posit it as some of the best Ubuntu HTPC software available. 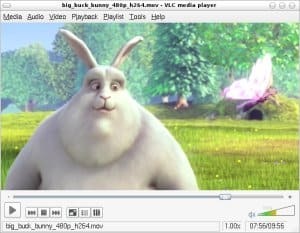 Because of its lightweight nature as well as fantastic compatibility, VLC is an excellent choice for media playback. Unlike most other Linux media center software applications on this list, VLC lacks server and library features. Instead, it's a solid, dependable standalone media player. Notably, it's spectacular for DVD and Blu-Ray playback on Linux. But while it's not really intended as streaming software, you can use VLC for in-home video streaming. Due to this uber-versatility, VLC is a mandatory Linux media center 2017 inclusion. MPlayer is an open-source, free media player. This Linux media center software sports tons of video and audio format compatibility, subtitle capabilities, and physical media playback. While MPlayer is a command line utility, there are several front-ends available that use graphical user interfaces. But even sans front-end, MPlayer is capable of video display in a window. As Ubuntu HTPC software, MPlayer is more akin to VLC. It packs the library featureset of Kodi, Emby, or Plex, and doesn't carry any server functionality. Still, it's a dependable, lightweight Linux media server software option. Which Ubuntu HTPC software you pick depends on your needs. If you value local playback, you'll want to use VLC, MPlayer, or Kodi. Whle VLC and MPlayer are competent media center playback choices, Kodi boasts an organized library as well as addons for streaming content. If you seek a server, Plex, Emby, Madsonic, and Subsonic are your best bets for Linux media center software. However, there's likely no one right answer. I use a combination of Kodi, Plex, Stremio, and VLC on my Linux HTPC. Once you've selected your Ubuntu HTPC software, try the AtoMiC utility to automate your media center needs. Which Linux media center 2017 apps do you recommend?